On the night of January 25th , 1925 the L& L.S. railway suffered the worst accident in its 100 years existence. A gale blew a train off the Owencarrow Viaduct killing four passengers and injuring eight. Neil Boyle from Burtonport was the guard on the train and the driver was Bob Mc Guinness from Derry. John recalls vividly the events of the night, the passing years have not erased the memory of the harrowing sceanes or stilled the sound of the screams of agony. He still relives the feeling of hopelessness he endured as he surveyed the scene of desolation in the fleeting moments, oblivious to his own danger, he scrambled over the wreck-strewn terrain to run the two odd miles to Creeslough to raise the alarm. The 5.15 p.m. Derry-Burtonport pulled into Letterkenny on time that January evening. 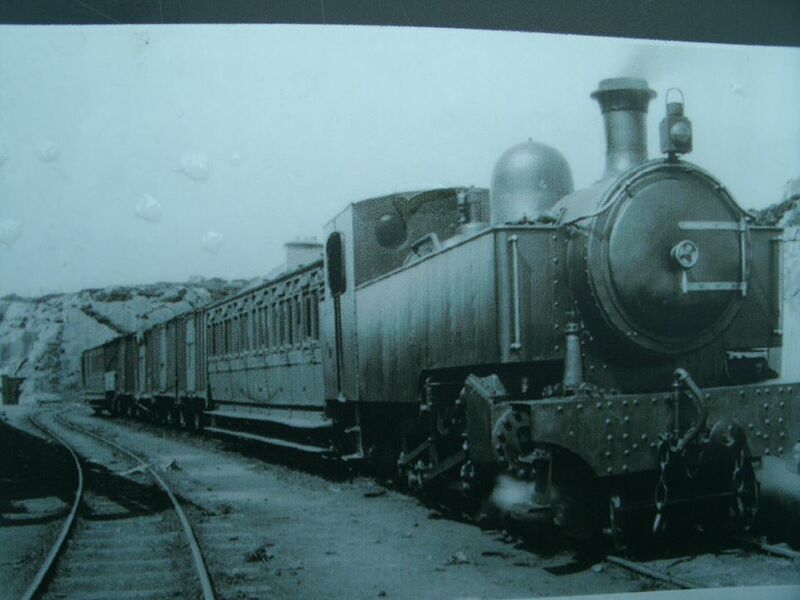 Engine No 14, John recalls, it was a mixed passanger/goods train, a loco, a wagon, two carriages and the guards van, it was known locally as the bread train. The Journey to Kilmacrennan was also uneventful, John was busy keeping up the steam pressure. Bob was straining his eyes as he peered through the small porthole windows at the track ahead. As they had reached the Barnes Gap Bob had said that the wind was a bad one. Approaching the 400 yards long viaduct the train slowed down and was crossing it at approximately 10 m.p.h. The train was within a couple of dozen yards fro the Creeslough side of the viaduct and almost clear of it when a sudden gust of wind with gale force literally lifted two of the carriages off the rails. One of them somersaulted and the roof was smashed to matchwood. The occupants of the coach were thrown through the roof into the rocky ravine forty feet below. 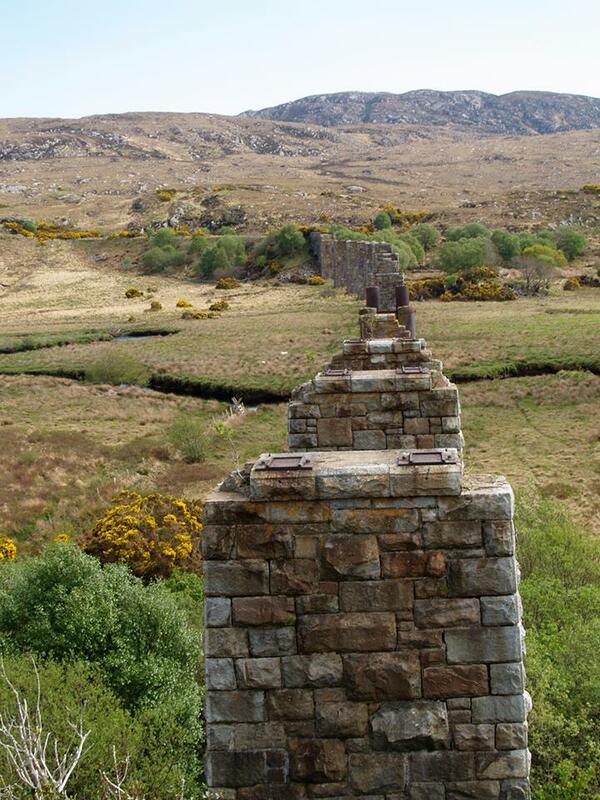 Exhausted, John had reached Creeslough station where he told of the accident, there was no scarcity of eager and willing helpers ….. Priests and Doctors were quickly on the scene. Rescue efforts were hampered by the howling winds and heavy rains, the only lighting available was provided by hurricane lamps, and keeping them alight was something of a problem. 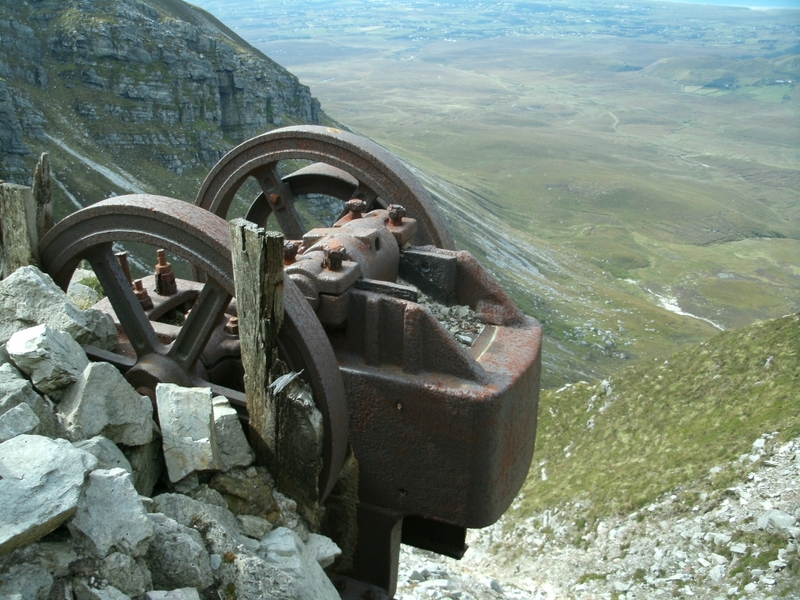 Heavy ballasts were put on all trains using this section, and a wing gauge was erected to measure wind velocity, and all trains were stopped if winds reached danger point of 80 m.p.h. It is said that on the night of the accident the wind was 106 m.p.h. 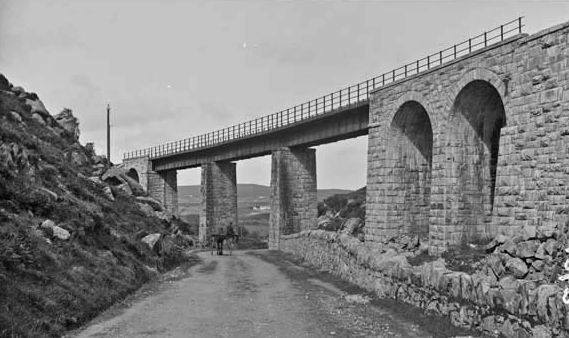 The Swilly Railway was an integral part of the life of the Gaeltacht areas, it had etched a place for itself in the hearts and homes of the people living in the towns, the island, and the remote mountain areas. It brought them memories of loved ones leaving to join the emigrant ship, and the thousands of migratory workers leaving for the potato fields and tunnels of Scotland, of sad eyed youngsters making their first trip to the hiring fairs to Strabane and Letterkenny.